What does Vidhu mean, details, origin, short & easy attributes? Vidhu is a Sanskrit name for girls meaning Moon.. Read below for Vidhu's celebrity and ruler associations, and numerological meanings. If Vidhu is the one, congratulations! Vidhu is baby boy name mainly popular in Hindu religion and its main origin is Hindi. Vidhu name meanings is Lord Vishnu, Intelligent. People search this name as Vidhu, Vidhun, Vidhushi. Vidhu is written in Hindi as विधु. Other similar sounding names can be Faateh, Fadhiya, Fadi, Fadia, Fadiyah, Fadwa, Fadwah, Fadyaa, Fahd, Faid, Faida, Faidah, Fateh, Fatih, Fattah, Fattooh, Fawad, Fayd, Fayyad, Fida, Fidaa, Fidda, Fiddah, Fuad, Fuada, Futuh, Fuwad, Vadhi, Vaidhe, Vaidya, Vati, Vatya, Ved, Veda, Vedha, Vedhya, Vedi, Vida, Videh, Vidhi, Vidhya, Vidu, Vidya, Vit, Vita, Viti. Each letter meanings in Vidhu Name. Popular personalities with Vidhu Name. 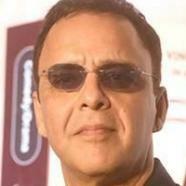 Vidhu was born on September 5th, 1952 in Jammu and Kashmir. Vidhu Prathap is a malayalam playback singer. His ongoing career started in 1999. 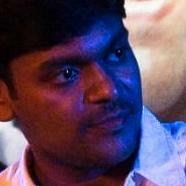 Vidhu was born Vidhu Prathap on September 1st, 1980 in Thrissur, Kerala, India.